Massive sewage overflows from Ramallah threaten Jewish town. Residents of the town of Modiin Illit in central Israel have been suffering as of late from incessant attack by mosquitoes that have been swarming the area. In recent days, a tour of the areas surrounding the town by members of the Association of Cities for the Quality of the Environment - Samaria has led to a discovery of the source of the problem - a 19-mile long pool of sewage water stretching from the Arab town of Ramallah all the way to the town. 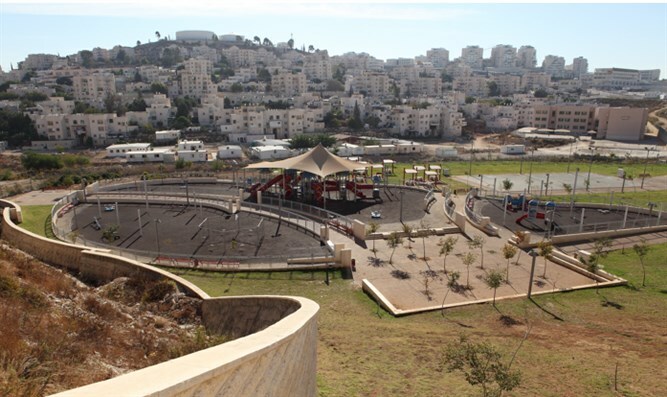 According to a report in Yediot Aharonot, whereas in the past, the water had simply been absorbed into the ground, the ground is now oversaturated to the point that the water is no longer absorbed - and therefore a continuous puddle now extends from Ramallah to Modiin Illit. The Civil Administration said that, in response to the crisis, it was “advancing the establishment of a water treatment plant in [the Palestinian Arab town of] Bitunya [near Ramallah],” and that it was regularly employing extermination techniques on the water to take care of the mosquito problem, according to the report. The Ministry of Environmental Protection said: “In light of the importance of the issue and its effects on many citizens, our office is consolidating in recent days a national program for the prevention and contraction of hazards and pollutants that cross borders. Within the framework of this program the Ministry will act to advance relevant environmental legislation in the area which will enable increased enforcement on matters such as this and which will allot resources for dealing with the matter, including for the treatment of hazardous waste in areas suffering from these problems,” the Ministry said, according to the report.